Cold Steel Training Saber(92BKTTNS) European medieval swords, sabres and rapiers for re-enactors and fencing. A much used and worn blunt training “Hutton Style” military saber has been in our Cold Steel Salle D’Armes for nearly 15 years. Lynn Thompson, Luke LaFontaine and Anthony DeLongis have trained with it weekly for years, and now, we have finally brought our own interpretation of this excellent training tool to the market. 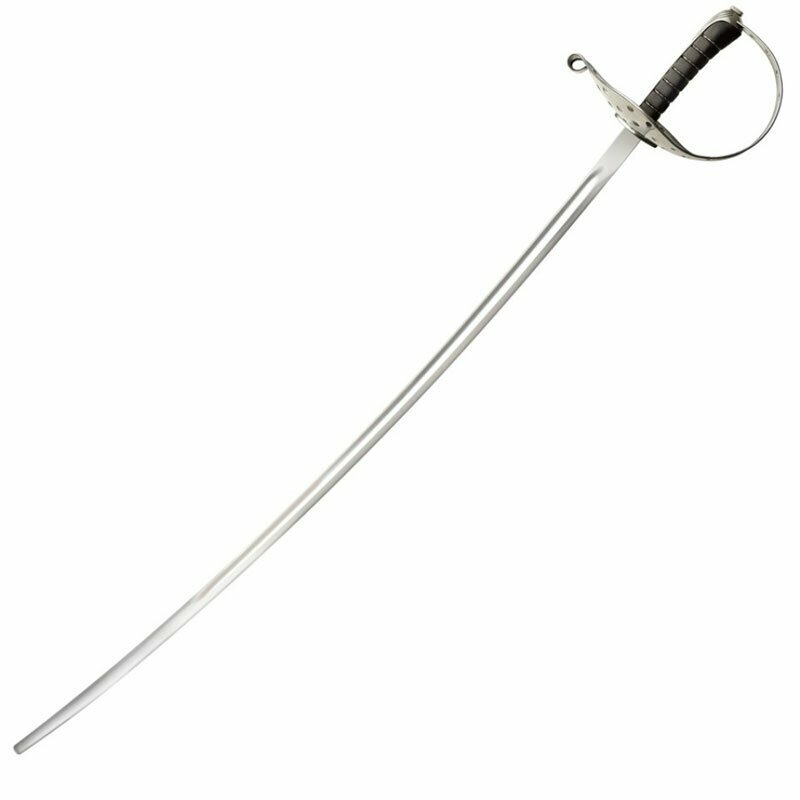 Our Steel Training Saber is deeply curved and fullered, with a blunt edge and tip for training and forgiving spring temper for practice and sparring. Its heavy duty steel guard has reinforced rolled edges for durability as well as superior hand protection, and its synthetic grip will offer years of use as a dedicated training tool. Light, agile and perfectly balanced, this is a must-have training tool for any historical fencer or HEMA practitioner! The Training Saber comes without a scabbard.